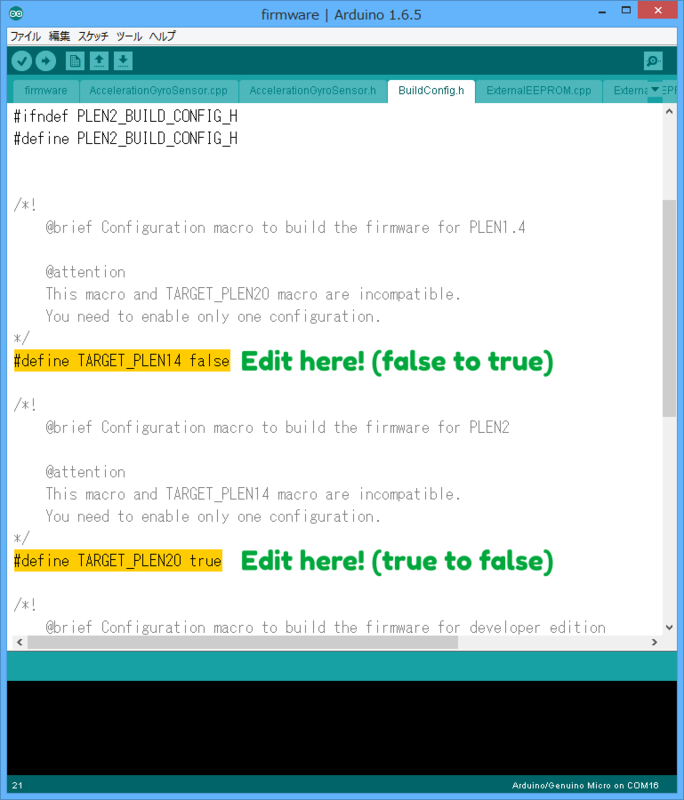 To write PLEN2’s firmware requires Arduino IDE (created by arduino.cc) ver.1.6.0 or above. Please download and install it before to do continued steps. 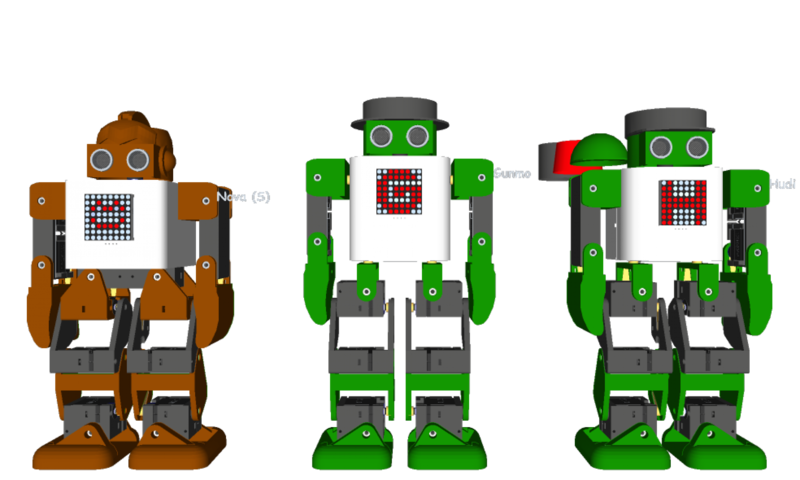 Access the Arduino IDE download page, and then choose your environment. 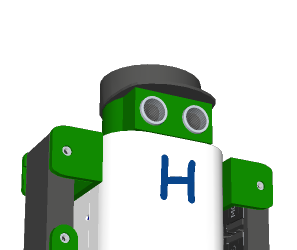 Open “firmware.ino” (This is placed “/arduino/firmware/” directory) with Arduino IDE. Choose target board as “Arduino/Genuino Micro”. If you want to install the firmware to PLEN1.4 or PLEN2 developer edition, you need to edit a few of codes in reference to following topics. Before to do process below, please open BuildConfig.h. Applying the firmware to PLEN1.4, the firmware should be edited about line 21 and line 30. 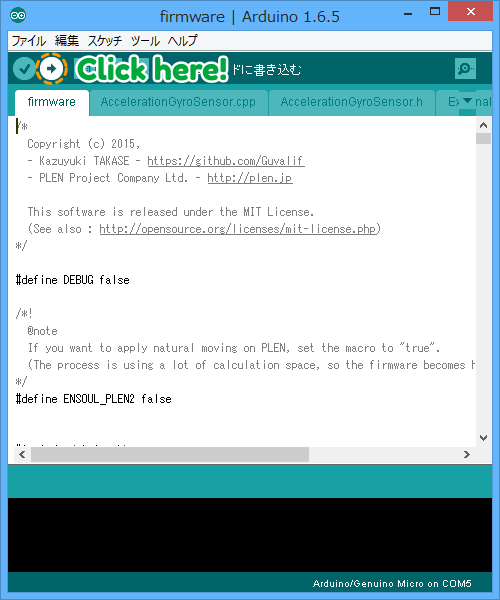 Applying the firmware to PLEN2 developer edition, the firmware should be edited about line 38.